Pope Francis gives the thumbs up to a group of young performers in Croke Pk on Saturday evening. Pic John Mc Elroy. Pope Francis puts his hand on Bella Hartigan, aged 11 months with her mother Candice, at the Capuchin Day Centre on Bowe Street in Dublin. 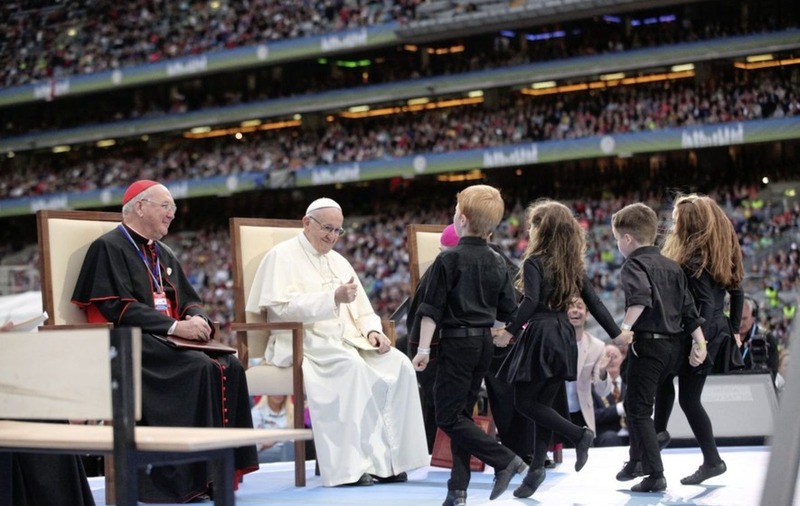 PILGRIMS can now have a lasting souvenir of the historic Papal visit to Dublin, Knock and the World Meeting of Families (WMOF) with the release of a commemorative book. 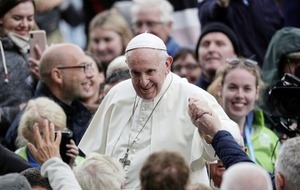 `Pope Francis in Ireland, published by Columba Books and written in partnership with The Irish Catholic to mark the August visit, has been released on sale this week. 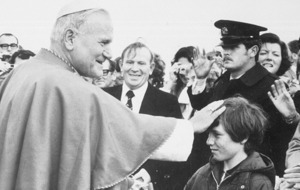 The book chronicles the first papal visit to Ireland in almost 40 years in photographic diary, covering day-to-day events of the WMOF from August 21-26, offering in-depth reporting from the journalists of The Irish Catholic. 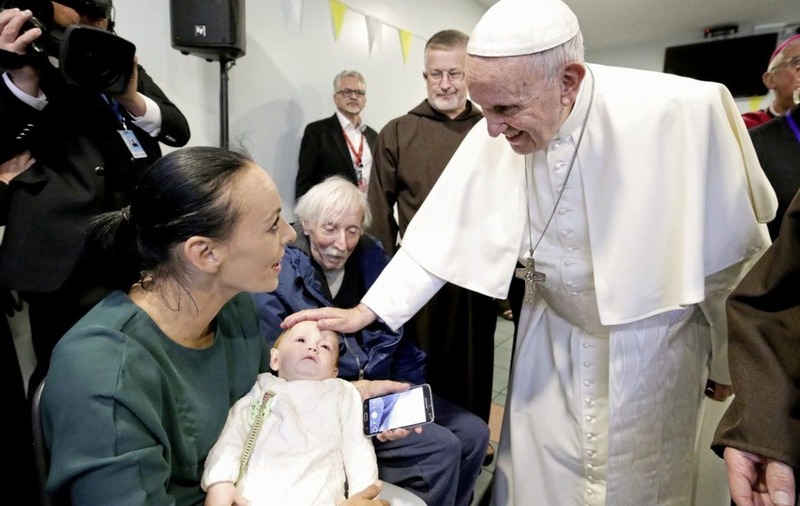 Starting with the tour of the Icon of the Holy Family and the various family celebrations held in dioceses across the island in preparation for WMOF, the souvenir takes readers through the national opening ceremonies, the pastoral congress, Pope Francis's arrival and his diplomatic and pastoral tour of Dublin, the Festival of Families in Croke Park, the papal visit to Knock Shrine and the closing Mass in the Phoenix Park. It also captures the faithful who turned out in their tens of thousands.